In this age of mergers and acquisitions, it is difficult to maintain one's company identity. Each day, the Wall Street Journal reports on buyouts and consolidations. 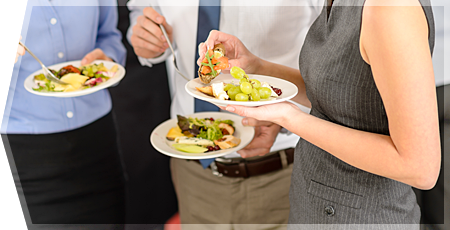 Companies are growing to a point that the service and management of individual food service accounts have become a low priority. Because of the enormous size of the overhead structure, applicable fees in subsidized accounts and level of service have grown disproportionately. Fee levels have to be established at a higher level in order to support not only the unit costs, but a bulky overhead aggregate of non-direct, corporate expenses. This theme carries through in profit/loss accounts as well as subsidy/management fee accounts. Minimum profit requirements dictate a normally higher pricing structure in order to support all of the above. 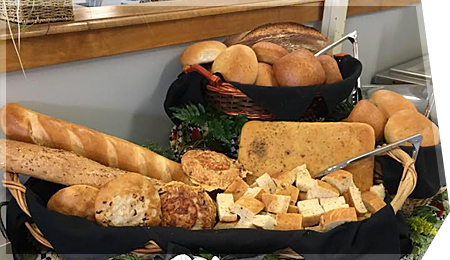 Since its incorporation over 25 years ago, Greentree's philosophy has been this: To identify a target market largely comprised of lesser-population, professional business accounts with a desire to provide a quality, innovated food service to its entire group of employees. We have found that this is also the market segment that is most frequently ignored. We combine our past experience with a foresighted approach to provide a specialized service that can be staffed, operated, and managed at an attractive pricing structure. Admittedly, there are many generic aspects of the food service industry. Generally, most contractors are paying the same price for quality food. The labor pool drawn upon is relatively homogeneous. So where do the differences between competitors' lie? There are only two possible answers: Service and Pricing Level. This is where we feel Greentree Food Management is head and shoulders above the competition. Personalized service, immediate accessibility and response, weekly personal contact, and a pool of resources including employee training and creative menu and special planning. Our total package is peerless at the pricing levels we implement.